The last Royal Election Sejm of the Polish-Lithuanian Commonwealth in Warsaw. 1764. The Sejm was convened in July 1764. The pre-Sejm local meetings were held in August, and the Sejm session opened on 27 August, 1764. Marshal Józef Sosnowski, the Grand Crown Writer (Notarius Magnus), was elected Marshal. 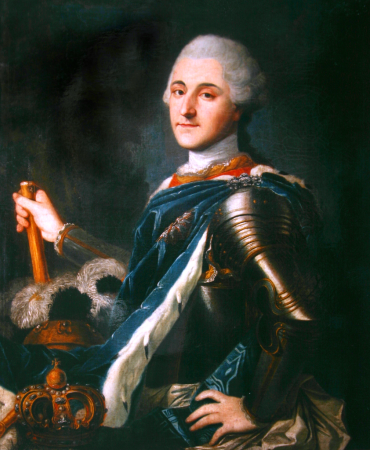 The election of the last king of the Polish-Lithuanian Commonwealth was sponsored by the Russian army and followed the recommendations from Tsarina Catherine II and King Frederick II of Prussia. 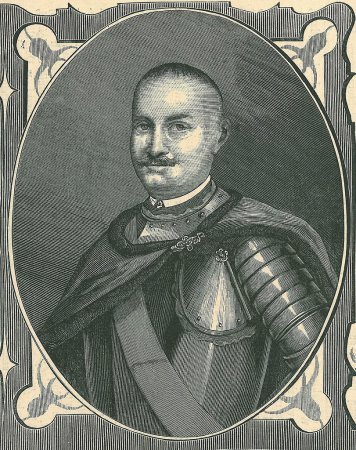 The last king elected by the Sejm was the Grand Pantler (Stolnik) of Lithuania, Stanisław Poniatowski. See: W. Konopczyński, Dzieje Polski nowożytnej (History of Modern Poland), vol. 2, Warsaw 1986; J. Michalski, Sejm w czasach panowania Stanisława Augusta, w: Historia sejmu polskiego, (Sejm during the reign of Stanisław August, in: History of Polish Sejm), vol. 1, Warsaw 1984, edited by J. Michalski, pp. 350-419; Z. Zielińska, Sejmy polskie z lat 1764-1786 (Polish Sejms from 1764-1786), Warsaw 1995; Z. Zielińska, Polska w okowach „systemu północnego”. 1763-1766 (Poland in the shackles of the "northern system". 1763-1766), Kraków 2012. Ustawodawstwo (Legislation), see: Volumina legum, Publisher J. Ohryzko, vol. 7, Petersburg 1860, pp. 193-299.